At the beginning of Rubber, we are introduced to what could loosely be called the purpose behind Dupieux's creation of the movie. Lt. Chad (Stephen Spinella) arrives on screen in a rather unorthodox way, and appears to be addressing the audience, asking us why E.T. was brown, and why Adrien Brody in The Pianist was stuck in seclusion, and a variety of similar questions. After each question, he answers himself by saying "no reason." 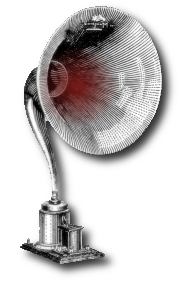 He doesn't quite say to us that the movie is an extrapolation of this idea, one I hoped would not be quite as taxing as Dali's Un Chien Andalou, but he might as well have. I took issue with this, but more on that later. As I started to draw connections to monster movies such as Frankenstein and their notorious opening sequences, The camera cuts away from the Lt. and shows that he is actually talking to a small group of people, marking the first of many thematic, arguably narrative shifts that occur in the movie. 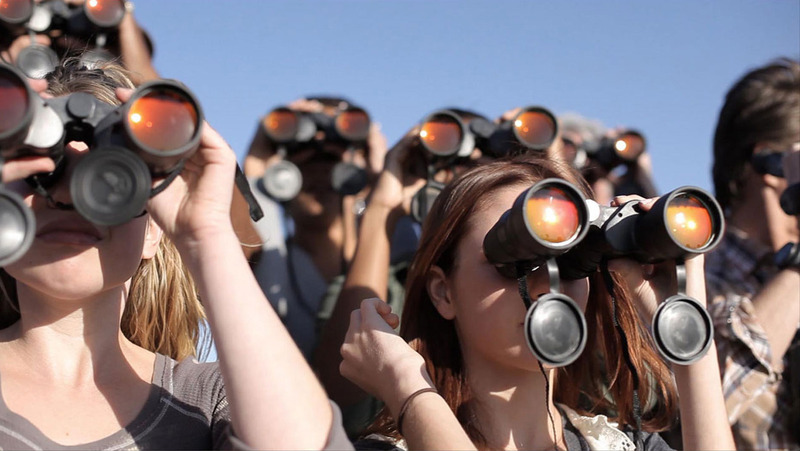 The group members are handed binoculars, and told that the movie will begin to show behind them. Ah, a movie within a movie. Okay, I'm on board, lets keep going. 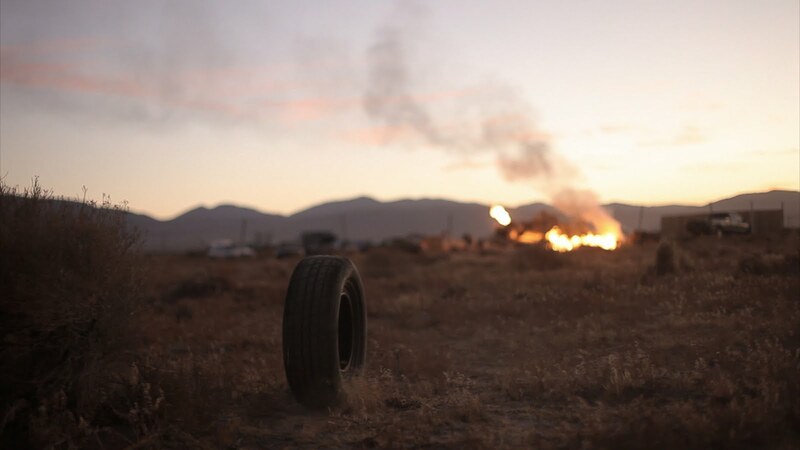 We watch the group of "movie goers" look around the desert, and, after a period of meta-commentary from a few choice "characters," they see a pile of junk, where our anti-hero, Robert the Tire, awakes, and takes his first ... rolls? The camera cleverly follows Robert around as he tests out his new found life, not taking to our world as easily as some new comers seemed to be able to do. At this point, the only annoying thing in the movie happens, as the binocular-ed audience proceeds to narrate, via questioning one another, what is occurring as we watch Robert get his bearings. I won't get into it too far, but you'll be happy to hear this dynamic does not continue through the rest of the movie. We watch Robert, a tire whose personality can only be expressed via slight movements and tilts (a sort of body language), as his curiosity drives him forward, onward and outward, beyond the boundaries of his junkyard birthing ground. Through tiny touches and hints, we learn who Robert is, Dupieux's masterful hand guiding us along, really allowing us to see ourselves in this previously-inanimate-object. The level of detail in the progression of this tire, the immense focus given to just introducing us to Robert (a tire, mind you), should speak to the amount of thought, and patience given to every other scene in the movie. As Robert moves out of the junkyard, the line between movie and movie-in-a-movie begins to blur, a blurring which only grows in intensity as the movie progresses, further adding absurdity to a movie that is basically held together at the atomic level by the stuff. No more than a third of the plot follows the path one would expect from the premise, and to reveal just how would be an injustice to the creative minds that put so much work into this heavily stylized genre bending absurdity romp. The only real problem I had with it was it's open monologue where it seemed to be saying the whole thing was just for fun, that everything that happened didn't have a reason. I think that's stupid. I do not claim to know why E.T. was brown, or the specific answers to his questions, but I dang well know that there was a purpose behind everything big and small in every great or terrible movie, no matter how banal the purpose may have been. And even if there wasn't a purpose when the movie was made, movies are, to an extent, an interactive media. Which, in the end, means that with each viewing, our mind changes the experience, allowing us to see things we didn't see before, or create new meanings behind things we did see before. I could make up some meta-narrative about voyeurism or consumerism or perceptions of reality, but I think that goes against the heart of the movie. I don't believe what they meant was that there was "no reason" for any of the things to happen in the movie, I think that the purpose was to get the audience, the real audience (us, the viewers), to sit back and just enjoy a cute little bizarre movie without stressing about the higher meaning. I could be totally wrong with that though, and it could be that there was a HUGE meta-narrative in there that the beginning monologue was meant to cover up, leaving the real message hidden so that only the real fans would get it. That sounds like a bunch of malarkey, and really I couldn't care less if that's the case because this movie is fun and more worth your time than most movies. If I could watch a movie as satisfying as Rubber every day, I'd be living the dream.